​In commemoration with Down Syndrome Awareness month, the Down Syndrome Association of Guam will be celebrating a Friends and Family Picnic on October 20, 2018 beginning at 10:00 am- 3:00 pm at Ipan Beach Park Talafofo. 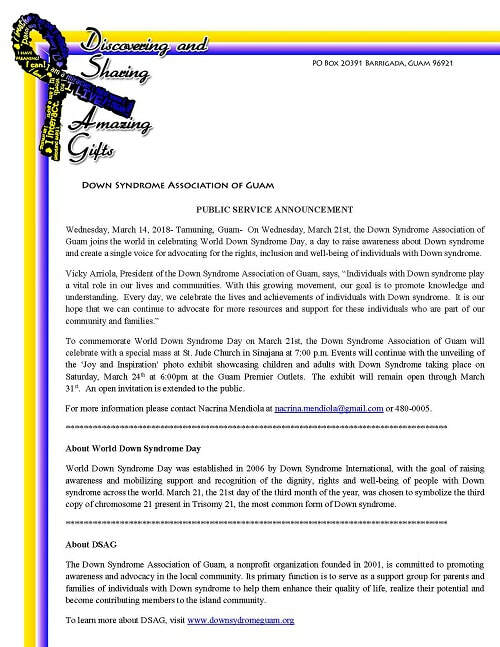 Please join us as we commemorate Down Syndrome Awareness month. 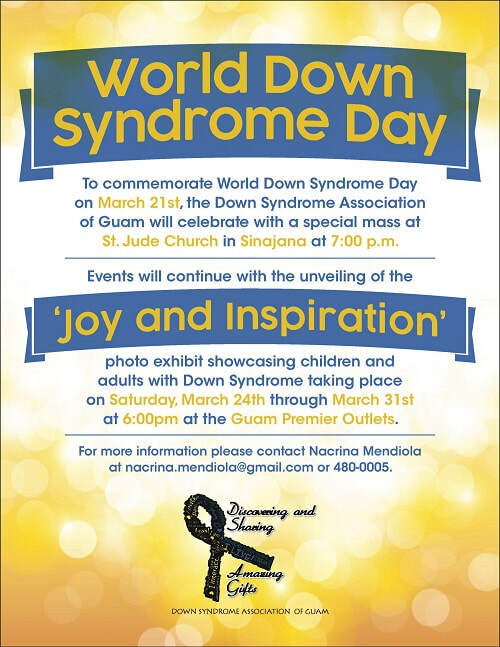 ​To commemorate World Down Syndrome Day on March 21st, the Down Syndrome Association of Guam will celebrate with a special mass at St. Jude Church in Sinajana at 7:00 p.m.
of Guam invites you to ​please join us on March 21st and 24th. In commemoration of Down Syndrome Awareness month, the Down Syndrome Association of Guam will be celebrating a Friends & Family Motorcade and Picnic on October 14, 2017 beginning at 10:00 a.m. at Ypao Beach Park. of Guam (DSAG)﻿﻿﻿ ﻿serves as a support group for families of individuals with Down syndrome, and most recently, other developmental disabilities. 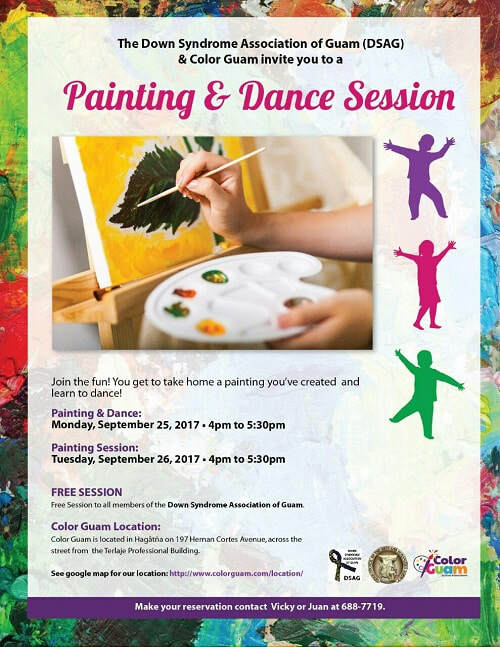 Please join us at our events and in supporting our objectives, to provide services and support to our beautiful island community, Guam.